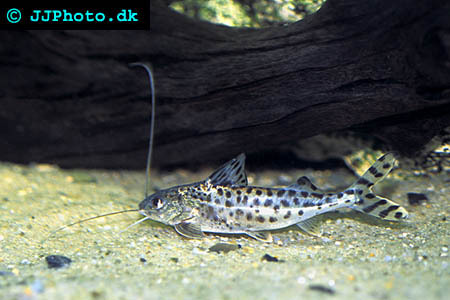 Company: Pimelodus pictus (Pictus catfish) can be kept with other species that are to large to be eaten. 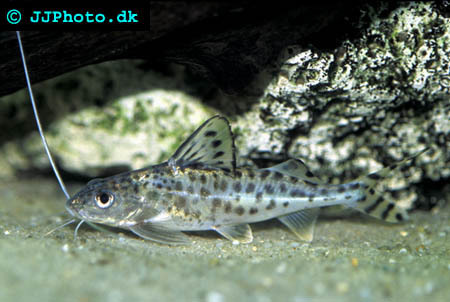 Aquarium setup: Pictus catfish requires a large aquarium that is decorated with stones and roots that creates hiding places for the fishes.The hiding places should be large enough for the fishes to fit into them. Plants are not necessary. They prefer very clean water and weekly water changes of up to 25% of the water is recommended. This species should be kept in groups. Feeding: They accept all aquarium food.